Sometimes, we need to focus on the particular. Our Individual Development services are about ensuring that high quality training can be easily accessed by the specific people who need it, in a manner that suits them – and their employers. Not every organisation has the numbers – or the need – to train entire teams. Some businesses identify key individuals who have the potential to make significant future contributions to the business. And some individuals understand their own needs well enough to get ahead of the curve themselves. Our Individual Development options enable businesses and individuals alike to access our superb courses easily and cost-effectively, targeting only those skills – and those people – that are required. 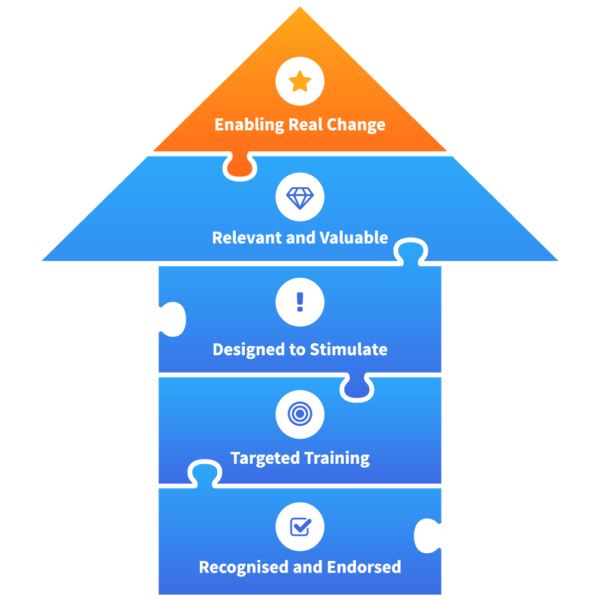 Organisations that have identified critical people – rather than whole teams – can enroll individuals onto our programmes to up-skill their people efficiently and economically. Equally, at Cedar Associates we are happy to hear from individuals looking to enroll on our courses under their own steam. We pride ourselves on delivering programmes which feel fresh and valuable, providing each of our learners with the skills and tools they need to tackle real challenges at work – and the confidence they need to excel. This senior level training and support programme will hone the skills of the people who will steer their business through current challenges and beyond. A joined up approach to learning, stimulating vision and encouraging future personal and business development. Delivered over five modules with coaching support inbetween. ILM leadership qualifications are among the most popular and valuable worldwide. Acting as a springboard for future advancement and success or to consolidate and formalize existing skills and capabilities. As experts in this area, we can serve as a helping hand towards the qualification you desire. With a twenty year pedigree this programme has served as the foundation for hundreds of high potential individuals taking their first steps into managing and leading other people. With a focus on applying learning between modules this programme’s success comes from its practicality and blend of challenge with fun. Building on managers’ past experience, this programme is aimed at further equipping individuals for future challenges. Specifically focusing on identifying areas for improvement, and developing practical solutions, to deliver on goals for themselves, their teams and the business. Supervisors and team leaders occupy critical positions in any business. Our supervisor programme is appropriate for established or recently promoted staff, and focuses squarely on the people skills necessary to getting the most out of a team. From improving a supervisor’s own understanding of their role to enhancing their effectiveness, the programme delivers real results. Sometimes a full development programme is not what is required. We run stand alone workshops covering presentation skills, negotiation, recruitment, appraisals, sales, leadership, communication and assertiveness to name a few. These workshops allow people to develop very specific capability in a practical and timely way. ARABLE MANAGER, WARDEN FARMING CO.
A customised people development process, anchored in the business’s vision, designed to fulfil the company’s goals. Building skill with knowledge and the confidence to use it. A valuable and memorable experience, with like-minded peers. innovative designs, delivered in an interactive, focussed style. Flowing, well-crafted development programmes or workshops with real purpose. By the institute of Leadership and Management.